This product has been discontinued due changes to Biocidal Products Regulations (BPR). 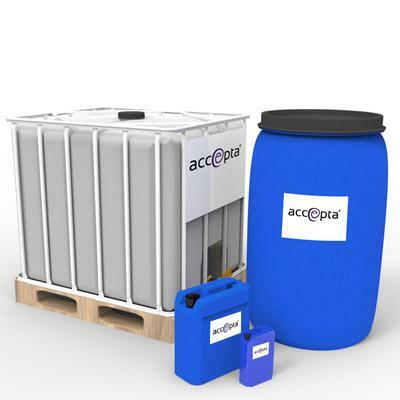 Accepta 2578 is a high-performance product is an activated liquid bromine-based oxidising biocide for use in open re-circulating cooling systems and industrial Pasteurisers. Superior biofilm removal to chlorine and chlorine / bromine. A broad spectrum disinfectant and biocide. Excellent microbiological control in systems with a pH greater than 7.5. Liquid formulation – no mixing, no handling of tablets. Dose Accepta 2578 at 15 ppm which should give 2 ppm free bromine. Do not mix this product with other products unless advised by your water treatment representative. Test method – always consider the system pH, as the efficacy of the product decreases below pH 7.5. A simple test method for on-site analysis can be employed to ensure the precise level of bromine required is maintained. The ideal level for your system will be advised by our technical consultant. Automatic dosing, utilising redox control can be employed if required. Visual or microscopic examination, biological dipslides, a biofouling indicator and other checks by our laboratory at intervals will indicate if any changes in treatment are required.